Hi! I'm so glad you are here. I'm excited to have you follow along with me as I navigate writing my dissertation, plan and prep healthy meals, and run all the miles. Oh, and eat ALL the Sriracha. It's a problem. Seriously. 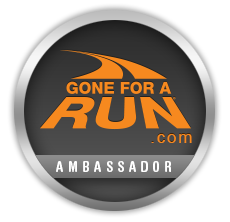 DISCOUNT CODE FOR GO GIRL RUN SERIES! CHELSEA15 gets you 15% off ANY of the races! Click HERE to register! Bondi Band Discount! Click on image or use code Chelsea4Bondi for 10% off! Cheers!